There’s nothing worse than playing with a soccer ball that’s the wrong size, falling apart, or isn’t inflated correctly (either over or under inflated). But incorrect soccer ball sizes are still annoying, right? Using a ball that’s the correct size and weight is super important for every player’s development and enjoyment of the game or practice. Here's a quick snapshot of the correct soccer ball sizes, weights, and the ages of the players who should be using them. For those who want more info, continue further down the page. The tiny size 1 soccer ball is ideal for very young children (aged 3 and under) who like kicking a ball about for fun. Due to its small size, many people also use it to perfect their technique, touch, and ball control as the smaller ball is much harder to practice with. At around 18 - 20 inches in circumference, many people collect size 1 balls as clubs often sell them with their logo or team crest n them. They can make for great souvenir items. Also mainly used as a skills ball, the size 2 soccer ball is between 20 - 22 inches in circumference and weighs in between 250 and 280 grams. It’s the perfect ball for children aged between three and five years of age. Like the size one ball, it’s mainly used by older players to hone their skills and to practice tricks. In addition, clubs frequently sell promotional balls featuring their club colours. The size 3 soccer ball is the smallest ball which is used for proper matches. Usually used by players who are 8 and under. Weighing in between 300 - 320 grams with a 23 - 24 inch circumference, it’s a bit heavier than the two smaller sizes making it appropriate for the age group they’re intended for. Coaches who work with younger age groups should always have size 3 soccer balls on hand as it will help the the player feel more confident and better develop their skills. 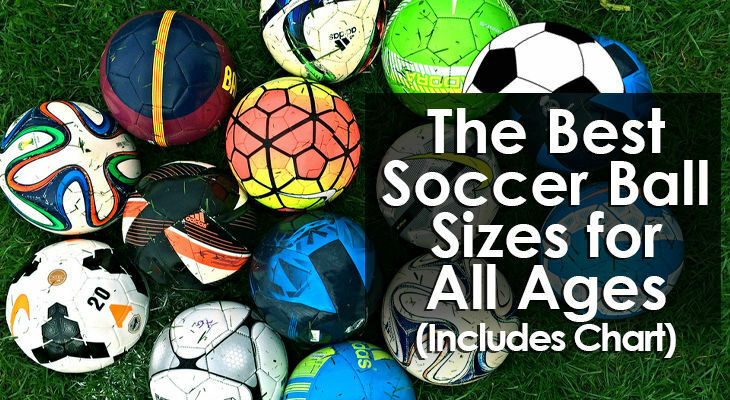 The size 4 soccer ball is medium size and is perfect for players aged 8 - 11 years of age. 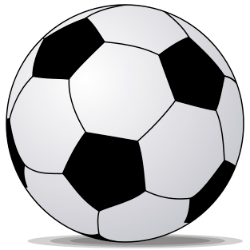 Youth soccer players will find a ball of this size and weight much easier to maneuver during practices and matches than a full sized ball. While it’s only a little smaller than a normal regulation ball, the size 4 ball represents a crucial step in each player’s development. Transitioning from a smaller ball to a regulation ball at this age would be far too hard. The size 4 ball gives players a few years to adjust as they get older, stronger, and more skilled. Finally, the soccer ball used in standard international matches. 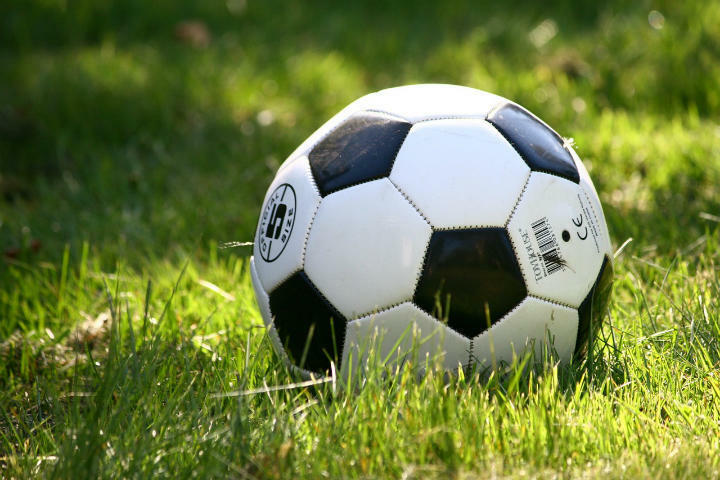 The size 5 soccer ball is used by anyone aged 12 and up, and it’s the main sized ball that you’ll come across when you’re around a soccer pitch. Because they weigh in at between 410 - 450 grams, be careful not to use these balls with younger age groups. Young players will have a lot of trouble controlling the ball, kicking, and passing due to the size of the ball. It’s important that players to feel comfortable and confident with the ball they’re using. Obviously players won’t be skilled until they’ve spent a lot of time practicing, but they should feel like they’re using a ball they’ll be capable of kicking and controlling. If a ball is too large or too small, it’s very hard to improve or have fun. While adults will generally always end up using the correct sized ball (size 5), it’s all too common to see young children using comically oversized soccer balls which will have a negative impact on their development. It’s much harder to develop touch, technique, and ball skills if the soccer ball isn’t appropriate for the child’s age group. Which is why coaches need to pay special attention to the group of players they’re coaching and make sure they’re practicing with the correct sized ball. Choosing the right size and weight of a soccer ball is is very important. Doing so will make a significant difference for effective development and will also result in the player having more fun. With many different options - from size 1 (kids) to size 5 (adults) - there’s an appropriate sized ball for every player and every age group. Hopefully the guide above has assisted you in selecting the right one!